Good Friday of the Lord’s Passion at Milagres Church, record crowd ever!! 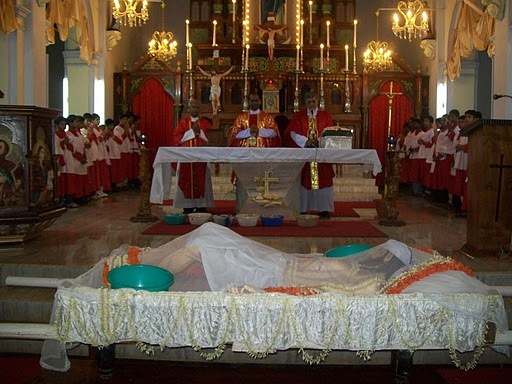 Kallianpur : The Good Friday service in Milagres Church here was conducted in four parts: the Way of the Cross, the Liturgy of the Word and prayers for different intentions of the church, Veneration of the Cross and Holy Communion. 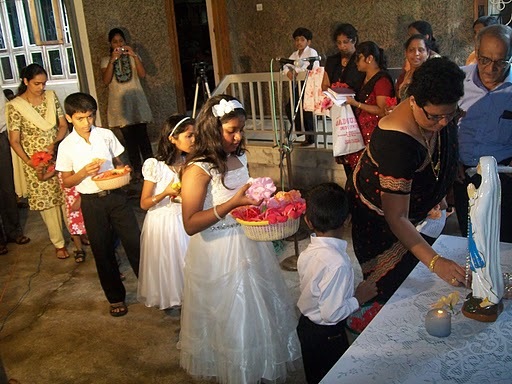 Kallianpur : The holy celebrations commemorated the "Last Supper", which is also a celebration of Passover, Jesus had washed the feet of his twelve apostles as a symbol of his love for them. By this simple act of love for one’s fellow human Jesus taught the lesson of humility to all. 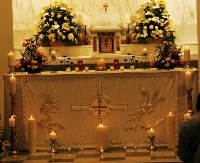 The Maundy Thursday was symbolically celebrated in Kemmannu parish today.Rev. Fr. 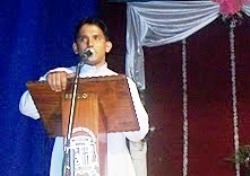 Richard Quadros of the Principal of Trinity central school was the main celebrant. He washed the feet of the tweleve apostles to ceremoniously reflect what Jesus did to his disciples during the Last supper. 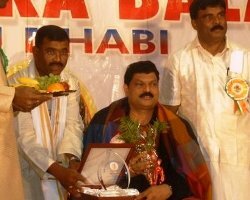 The Maundy Thursday celebration at the Infant Jesus Shrine, Mangalore was presided over by Rev. Fr. Melwyn D’Cunha OCD. It is the day where Christian recall the Last Supper Jesus had with his disciples and also the washing of the feet of the Apostles by Jesus as sign of service and humility. 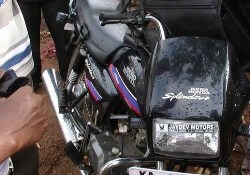 Accident injures two bike riders in Santhekatte, Kallainpur. 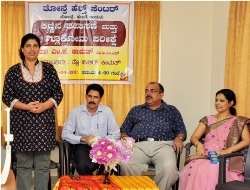 Congress general secretary, MP and youth icon Rahul Gandhi Visited Udupi. As many as youth had an opportunity to participate in the interaction programme held with the All India Congress Committee general secretary, MP and youth icon Rahul held at the Shamili Hall, Ambalpady Wednesday April 20. But the programme countered the protest from media persons as they were denied entry into the venue. 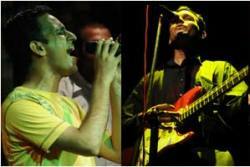 Kevin Misquith and The Milestone live in concert at Kemmannu Church Grounds..!! 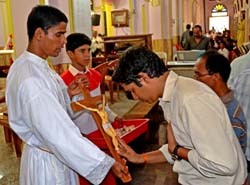 Kallianpur : As usual Palm Sunday was observed with great solemnity and devotion at Milagres Church here on Sunday, 17th April, 2011. Palm Sunday, that marks the beginning of the Holy Week leading to the commemoration of Crucifixion of Jesus Christ on Good Friday and His glorious Resurrection on the Easter Sunday was observed in all the Christian churches all over the world on April 17, 2011. 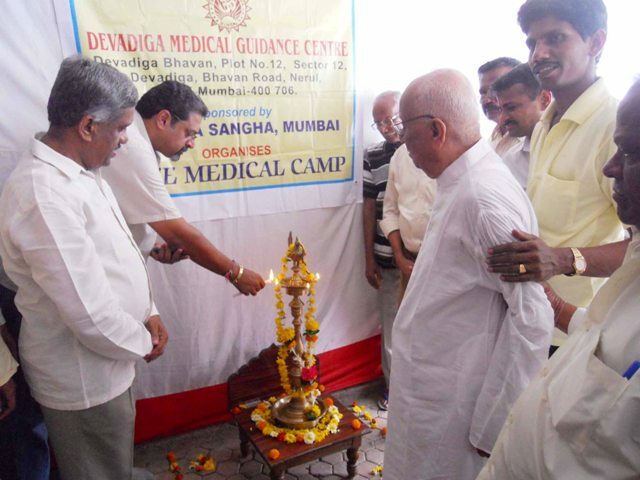 EYE SPECIALIST & GLUCOMA SCREENING FACILITIES AT THONSE HEALTH CENTRE. 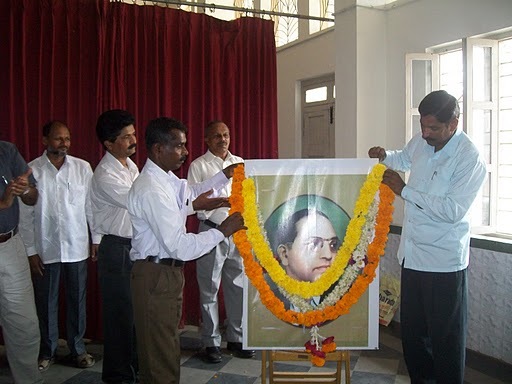 Udupi : Dr. Ambedkar had alerted the exploited sections of society to rise to the occasion and harped on the point that all people had equal rights to lead a normal life in society.